The entries for this giveaway are now closed. Check back later this week for the winner. For some great recipes, see the One Frugal Foodie Recipe Index, or use the RSS feed to keep up to date on future recipes and giveaways! At Go Dairy Free, I repeatedly hear “I can’t find those specialty foods in my area!” To which I quickly respond, “Get online!” (with a smiley face attached of course). There is still this fear about ordering food online that I just don’t get. I regularly order ingredients via the Internet as they are often cheaper, and are usually delivered right to my door for free. That said, I am always excited when a new kid pops up on the block in terms of retailers, and the latest is no exception. A lactose intolerant fellow named Jeff contacted me over a year ago, with an inquiring mind about the dairy-free industry. 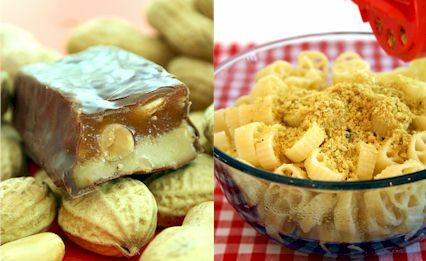 Jeff persisted with his research, and at long last he has officially launched Dairy Free Market, an online store providing lots of wonderful special diet goodies, from dairy alternatives to cookies and chocolate. You can view the entire store at www.dairyfreemarket.com. Eat in the Raw – Parma! You may notice a few “options” in the basket. That is because we have tailored it to be dairy-free (and vegetarian / vegan) or dairy-free AND gluten-free for all of you GFCF folks out there. Yes, the Dairy Free Market aims to please! 1st entry: Comment on this post and let me know what product you are most excited about (feel free to peruse the Dairy Free Market website), and/or share a suggestion for what product(s) you want to see Jeff carry in their online store. 2nd entry: Pass on the word about this giveaway, and leave a second comment letting me know where you did. One option is a quick retweet (see www.twitter.com/onefrugalfoodie), or you can post it on your blog, spread the word on facebook, email some friends … whatever works best! 3rd entry: Become a fan of Dairy Free Market on facebook, and leave a third comment here letting me know you did. You have from now through Wednesday, October 14th, to enter! The winner will be announced at the end of this week. Good Luck!! Wow, what a great giveaway! I want to try everything, but especially the Dark Hot Chocolate and the French Twists! Aunt Gussie’s Sugar Free Gluten Free Vanilla Spritz Cookies look yummy!! Found em on the webbie! I am a BIG italian food junkie and would love to try the spaghetti ! YUM. Also, we are already getting very cold weather (at least to me) up here in the Great Lakes State so Id love to try some of that yummy hot chocolate as well! I am most definitely MOST excited about the hot chocolate! As the winter season comes up, I’ve started trying to figure out a quick and easy dairy-free hot chocolate recipe… and a pre-mixed pack would be even better! 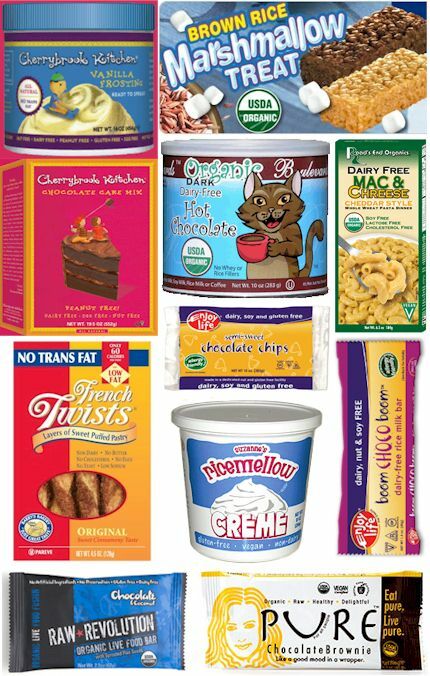 Pingback: One Frugal Foodie » BIG Dairy-Free Gift Basket: One Winner and a Dairy-Free Discount for All!